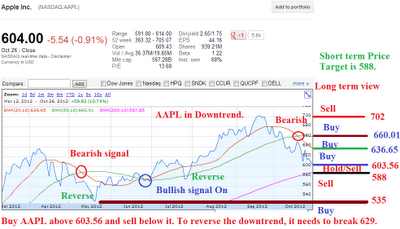 So far my accuracy for predicting stock direction has been accurate based on chart. 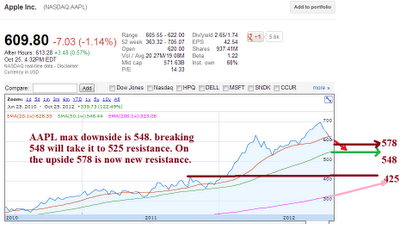 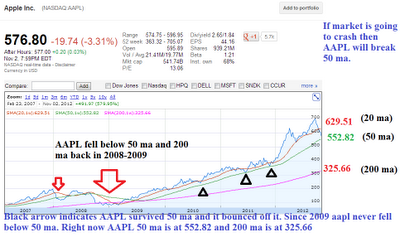 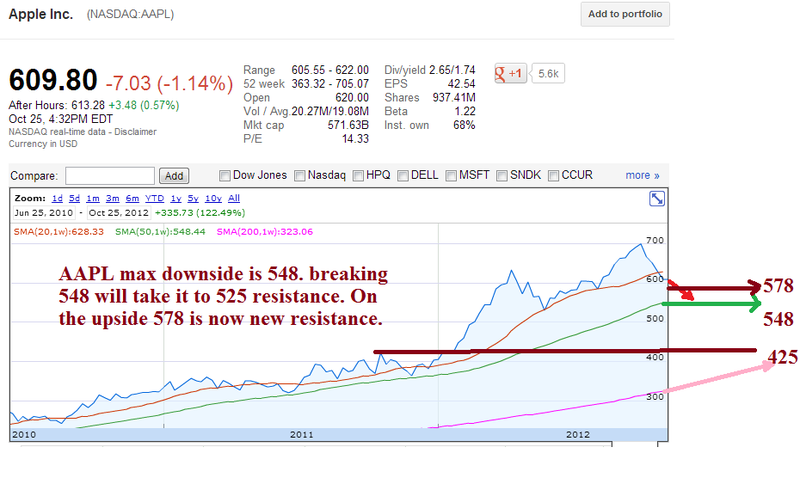 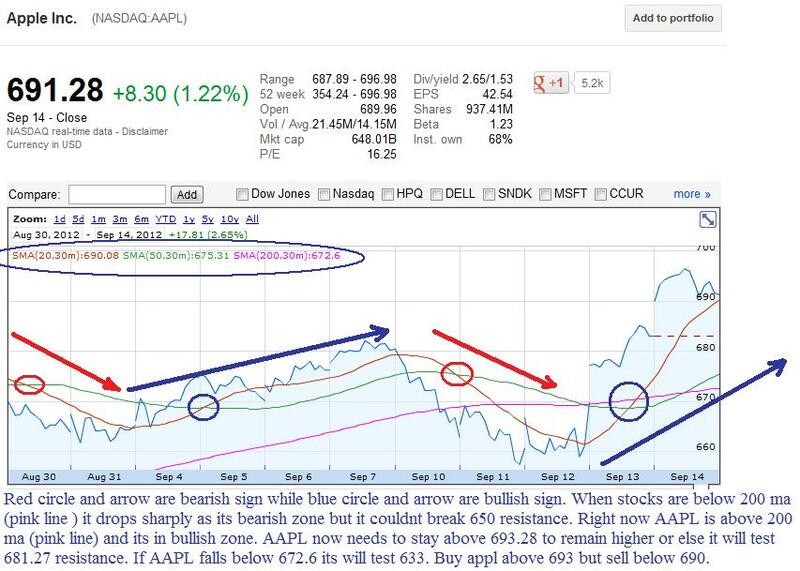 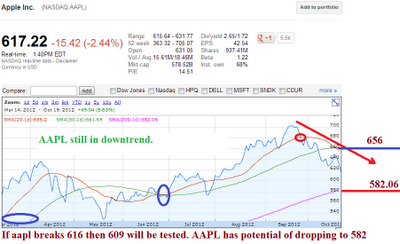 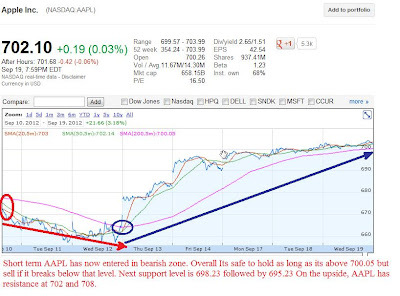 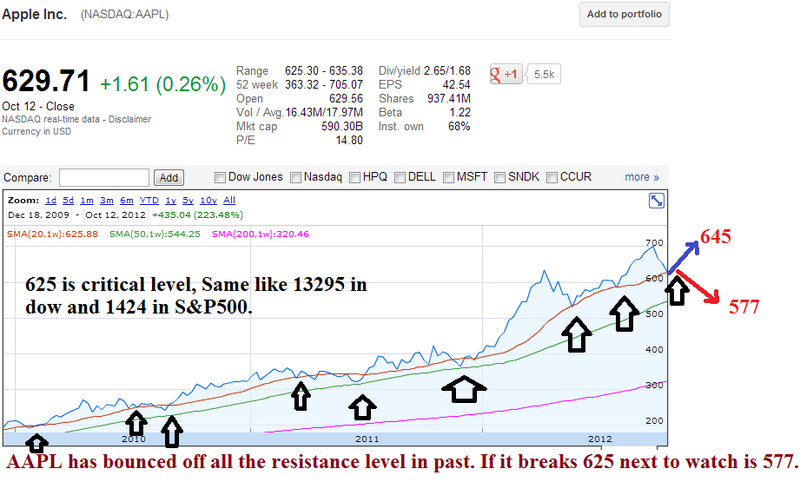 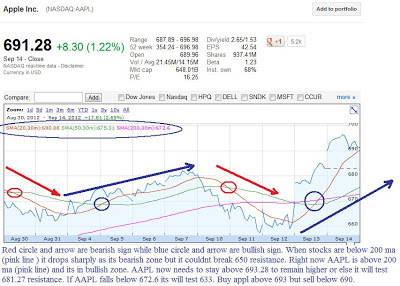 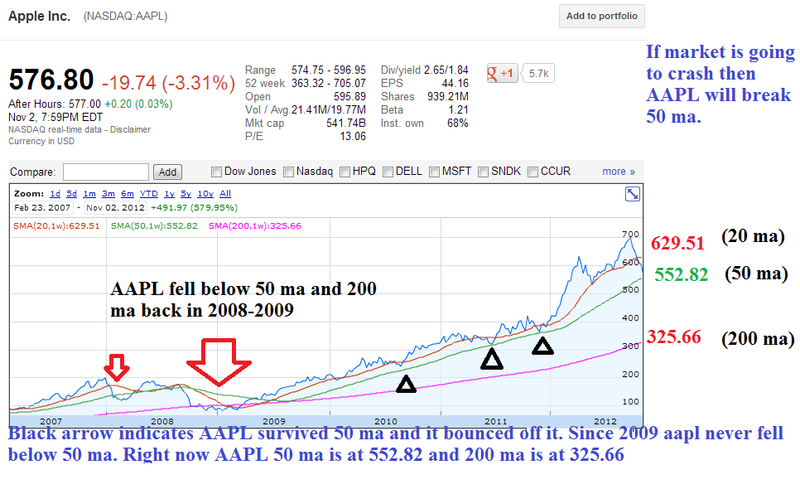 Here is how Apple Inc fell from 702 to 529 level. 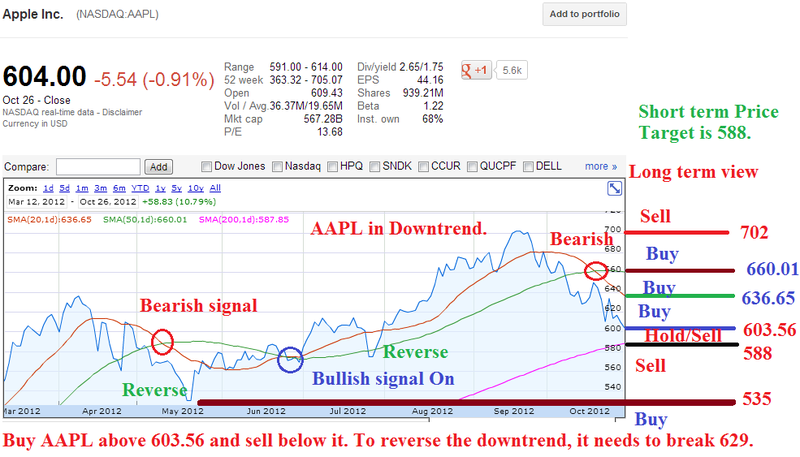 The rule is very simple just follow the trend. 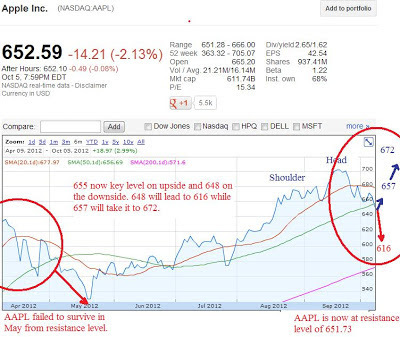 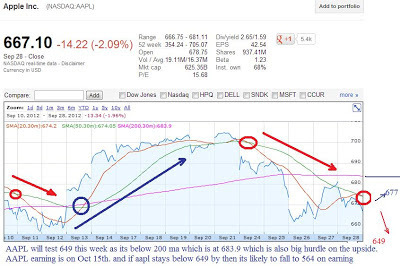 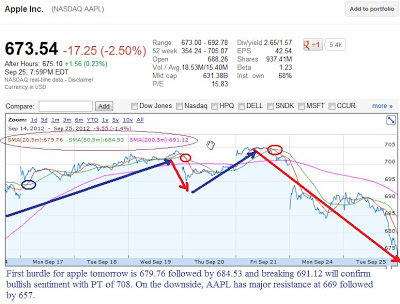 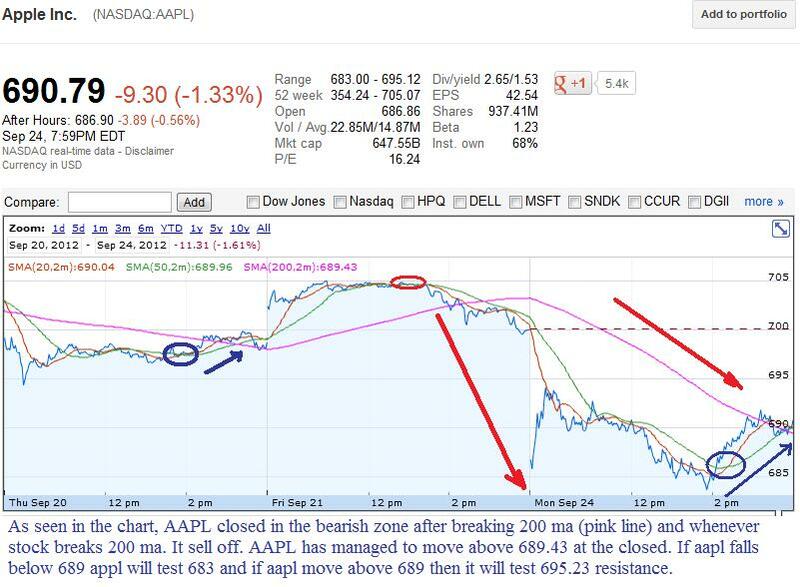 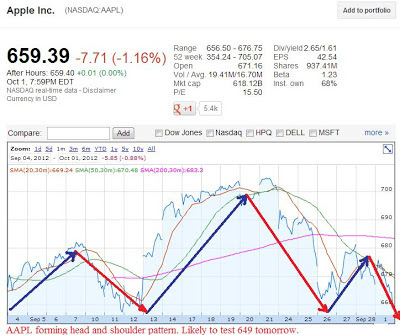 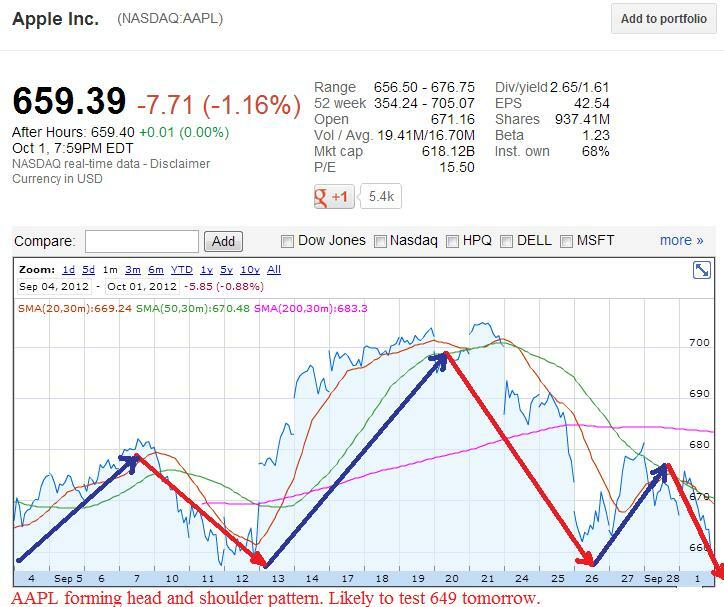 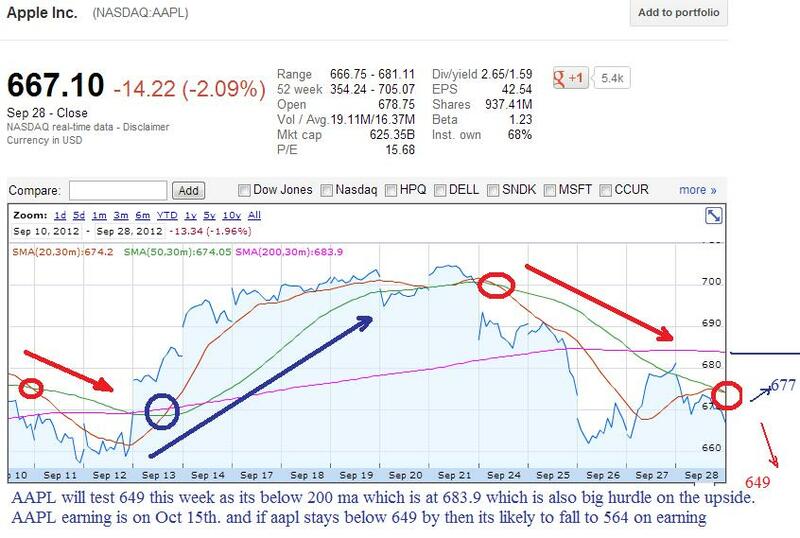 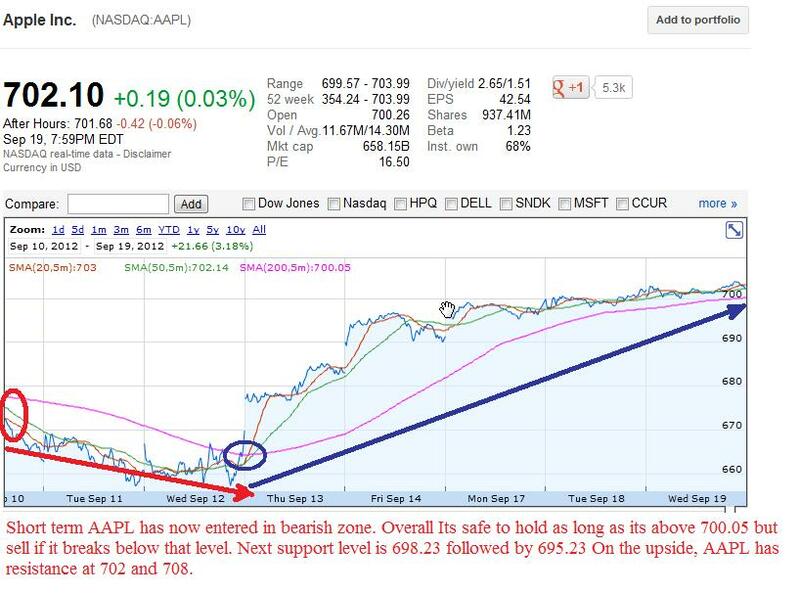 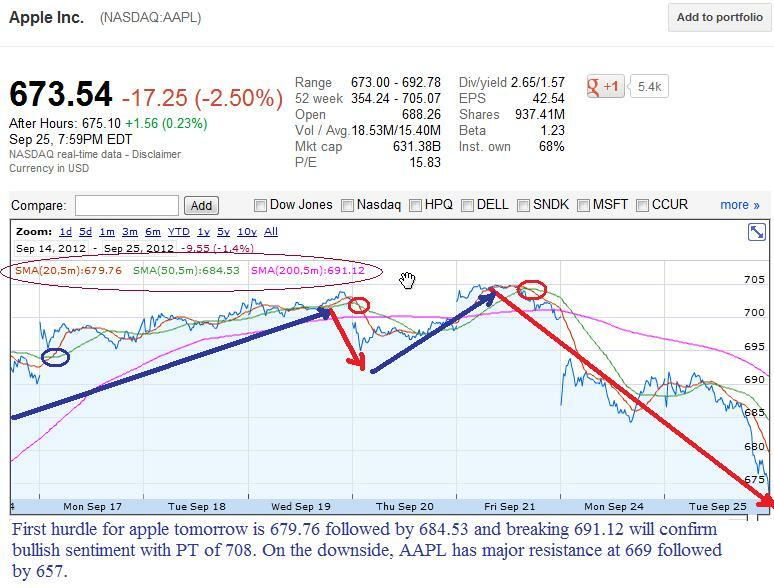 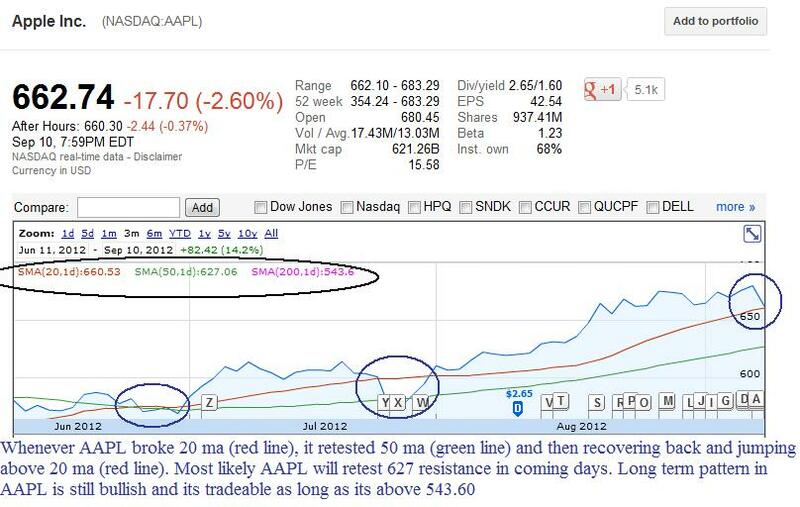 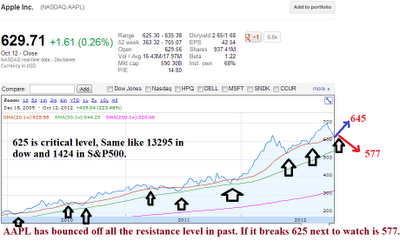 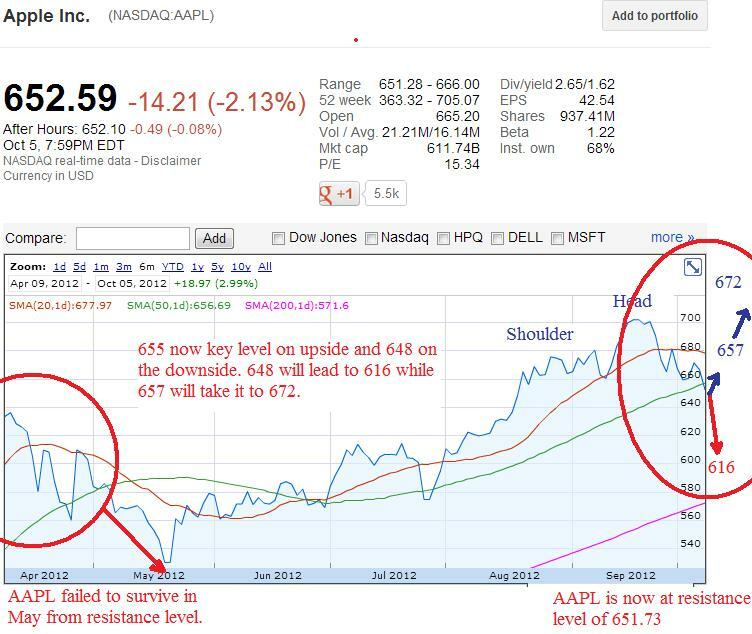 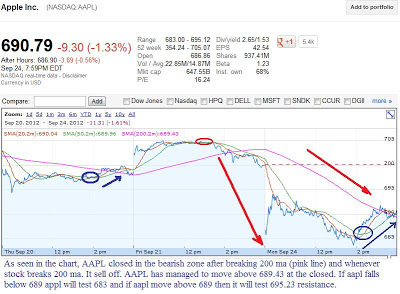 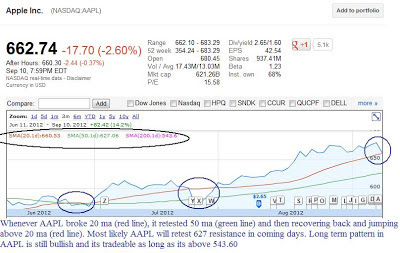 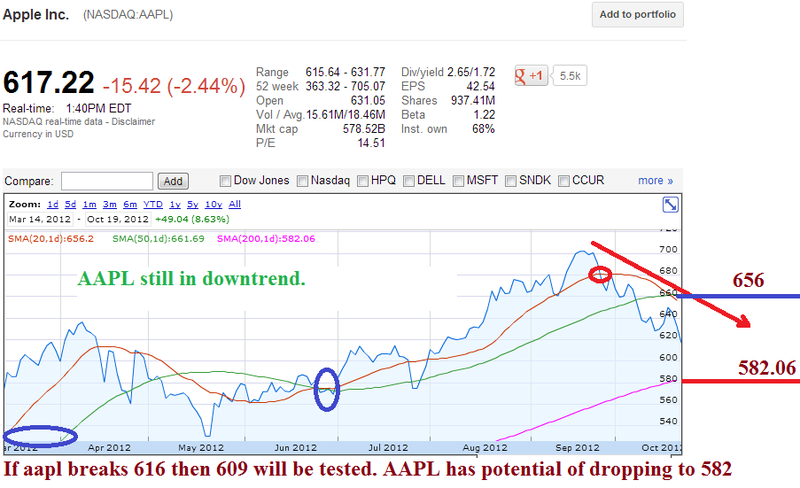 Here is an example of the actual AAPL chart frise and fall.